He has a Michelin Star and is readying to open a restaurant in San Diego. Chef Drew Deckman, known for his popular Valle De Guadalupe al fresco eatery Deckman's En El Mogor in Baja California Mexico, has partnered with local designer Paul Basile and the pair has secured a space in the Structure Lofts building at 440 Upas Street on the border of Bankers Hill and Hillcrest and will open a yet-to-be-named concept (Deckman's Bankers Hill has a nice ring to it!) as early as this November. 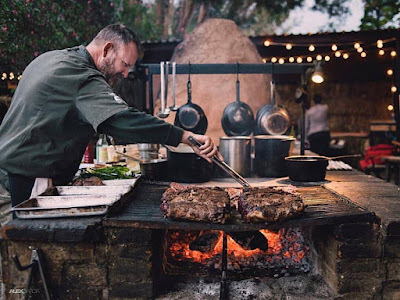 If you frequent Baja California's Valle De Guadalupe, you've undoubtedly visited Deckman's En El Mogor, one of the top restaurants in the region, where the humble Executive Chef Drew Deckman sources local, seasonal ingredients to make inspired dishes that incorporate flavors from around the globe. 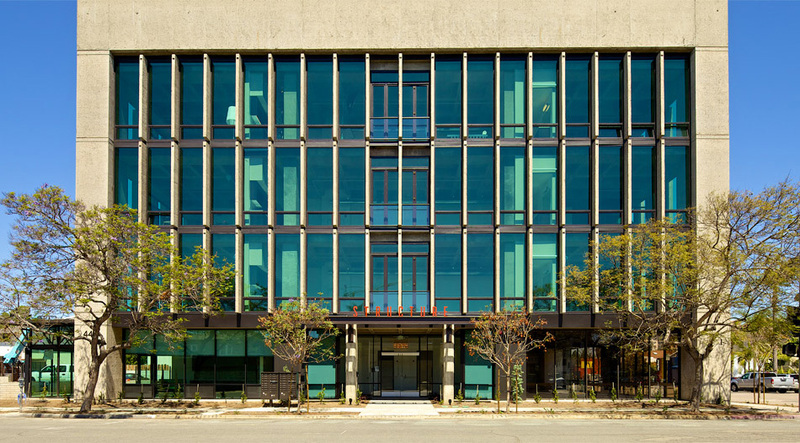 Chef Deckman is teaming up with local designer, Paul Basile of BASILE Studio (Ironside Fish & Oyster, Kindred, Underbelly, Craft & Commerce, Bankers Hill), to redesign a space on the ground corner of the Structure Lofts Building on 5th & Upas for a restaurant slated to open as early as November 2016. Chef Deckman doing his thing! The menu at Deckman's new restaurant was described as "Drew's food," likely incorporating rustic preparation techniques while drawing inspiration from smoke and fire, as well as our thriving local seafood and produce. Deckman is one of the most talented chefs in our area and has a knack for showcasing sustainable, seasonal ingredients accessible to the region to prepare unforgettable meals. In addition to a frequently changing food menu, expect local craft beers, regional wines, and area-distilled spirits to be at the forefront of Deckman's bar menu. Chef Drew Deckman grew up in Peachtree City, GA and completed a degree in philosophy from Rhodes College in Tennessee before mentoring under star-teacher and cookbook author, Madeleine Kamman, as part of the final class of the School for American Chefs at Beringer Vineyards. Before making home in Baja California, Mexico, Chef Drew spent 10 years honing his skills in France, Switzerland, and Germany, cooking with culinary masters such as Paul Bocuse, Jacques Maximin, Gilles DuPont and Thomas Byrne. Chef Drew was awarded a coveted Michelin Star for his work in Restaurant Vitus in Germany as well as Rising-Star Chef in Berlin in 2003 during his tenure as Executive Chef at the Four Seasons Berlin. 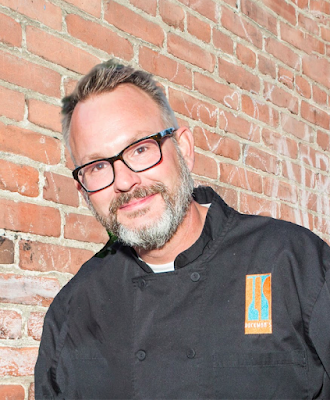 Drew is passionately dedicated to preparing his food using local, sustainable ingredients, promoting his philosophy through his work as the Regional Governor for Slow Food International. He opened his first Mexican restaurant, Deckman’s San Jose, in Los Cabos in 2010. A year later, Drew visited Valle de Guadalupe, and the rest, as they say, is history. 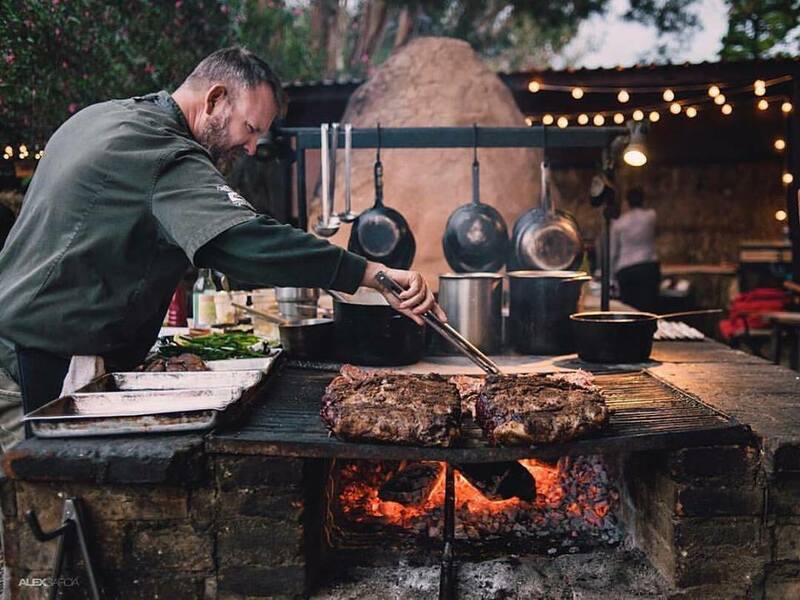 We cannot wait for Chef Drew Deckman to be cooking in the heart of America's Finest City, but until then, visit him at Deckman's En El Mogor, about 2 hours from downtown San Diego in Mexico's thriving wine country - Valle de Guadalupe. 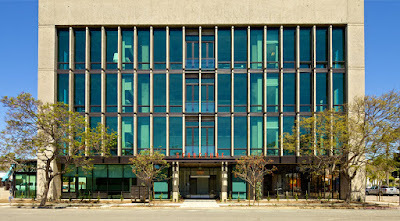 For more information about Deckman's, visit deckmans.com.